This month we will be exploring the wonderful world of Superheroes! How the comics were portrayed on the silver screen and how these masterpieces have evolved over the years. It’s not surprising that with the evolution of technology a whole world of possibilities has opened for film makers to push the boundaries. These days you can experience a sensory explosion in a 4D Cinema, from characters jumping out at you (in 3D) to actual water spraying on you during a rainy final battle scene. We have selected a couple of retro films that have had remakes in recent years and we’re comparing them to see how much they have evolved. During World War II, a brave, patriotic American Soldier undergoes experiments to become a new super soldier, “Captain America.” Racing to Germany to sabotage the rockets of Nazi baddie “Red Skull”, Captain America winds up frozen until the 1990s. He reawakens to find that the Red Skull has changed identities and is now planning to kidnap the President of the United States. His costume might have changed but the good old captain stayed the same!! Peter Parker has a laboratory accident that changes his life. He finds himself with greatly increased strength, the ability to stick to walls to climb them without needing hand and footholds and a “spider-sense” (presented in this series as clairvoyance) that allows him to sense danger. Designing a costume and a web shooter that allows him to fire a strong artificial web, he fights crimes as Spider-Man. Not only did this legendary superhero have a change of costume, he also, thanks to the wonders of CGI and special effects, could showcase his superhero powers and not just shoot fishing net out of his wrist and parkour over a little wall here and there!! Now for a combo. These two Marvel characters have been side by side in battle for generations and in the most resent Avengers movie and its sequel these two were seen back together owning it on the silver screen with special effects galore. Nick Fury is the director of S.H.I.E.L.D., an international peace-keeping agency. The agency is a who’s who of Marvel Super Heroes, with Iron Man, The Incredible Hulk, Thor, Captain America, Hawkeye and Black Widow. When global security is threatened by Loki and his cohorts, Nick Fury and his team will need all their powers to save the world from disaster. Though Batman escapes the Sandman’s trap, Robin is left to wander in a deadly maze. A clue leads Batman to Catwoman’s lair, where he informs her of Sandman’s plans to elope with J. Pauline Spaghetti and keep her fortunes to himself. Enraged by the Sandman’s trickery, Catwoman sets out after him. Batman, with the now-rescued Robin, also follows, and the group meet up at Spaghetti’s old deserted pasta factory. Catwoman has traditionally been portrayed as a super villain and adversary of Batman forming part of the DC Universe Franchise. I don’t know about you but the universe has been kind to her and like a true lady she has just gotten better with age. We hope this tantalised your taste buds to see for yourself how these movies have changed, and maybe even spur you on to get those old comic books you used to read as a child out from under your mattress. Stay tuned for more amazing blasts from the past in this month Superhero themed blogs. Be sure to subscribe to our YouTube Channel and Like and share our Facebook and Twitter Pages. Dracula has been around for years and every generation of filmmakers has their own take on this mythical creature. Where did Dracula originate from and how did filmmakers bring their renditions to the screen. This movie is based on the novel written by Bram Stoker and even though it had been put into a film in 1922 under the name ‘Nosferatu’ this German masterpiece was still not a match for this true cinematic classic that was ‘Dracula’. The main actor, Bela Lugosi, rose to instant fame when he played the part of this suave and sophisticated nobleman who had ladies swoon with his cultured Hungarian accent. After a harrowing ride through the Carpathian Mountains in eastern Europe, Renfield enters castle Dracula to finalize the transferral of Carfax Abbey in London to Count Dracula, who is actuality a vampire. Renfield is drugged by the eerily hypnotic count, and turned into one of his thralls, protecting him during his sea voyage to London. After sucking the blood and turning the young Lucy Weston into a vampire, Dracula turns his attention to her friend Mina Seward, daughter of Dr. Seward who then calls in a specialist, Dr. Van Helsing, to diagnose the sudden deterioration of Mina’s health. Van Helsing, realizing that Dracula is indeed a vampire, tries to prepare Mina’s fiancé, John Harker, and Dr. Seward for what is to come and the measures that will have to be taken to prevent Mina from becoming one of the undead. This version of Dracula is closely based on Bram Stoker’s classic novel of the same name. A young lawyer (Jonathan Harker) is assigned to a gloomy village in the mists of eastern Europe. He is captured and imprisoned by the undead vampire Dracula, who travels to London, inspired by a photograph of Harker’s betrothed, Mina Murray. In Britain, Dracula begins a reign of seduction and terror, draining the life from Mina’s closest friend, Lucy Westenra. Lucy’s friends gather together to try to drive Dracula away. The cast includes Gary Oldman as Count Dracula, Winona Ryder as Mina Murray / Elisabeta and Anthony Hopkins as Professor Abraham Van Helsing and directed by Francis Ford Coppola. This movie being the most recent in the telling of Dracula’s tale. At the turn of the century, the young lord Vlad and his family live a peaceful life ruling over their small kingdom, but when a Turk warlord demands from Vlad a thousand boys and his son to create an army Vlad seeks a terrible power that will allow him to protect his kingdom and family from the Turks at a terrible cost. The cast includes Luke Evans as Vlad, Sarah Gadon as Mirena and Dominic Cooper as Mehmed and directed by Gary Shore. A couple of honorable mentions when it comes to spin-offs from the original movie would definitely be…. It hasn’t even been a year since a plantation owner named Louis lost his wife in childbirth. Both his wife and the infant died, and now he has lost his will to live. A vampire named Lestat takes a liking to Louis and offers him the chance to become a creature of the night: a vampire. Louis accepts, and Lestat drains Louis’ mortal blood and then replaces it with his own, turning Louis into a vampire. Louis must learn from Lestat the ways of the vampire. Directed by Neil Jordan and cast includes Brad Pitt as Louis, Christian Slater as Malloy and Tom Cruise as Lestat. Directed by Michael Rymer and cast includes the late Aaliyah as Queen Akasha, Stuart Townsend as The Vampire Lestat and Marguerite Moreau as Jesse. Dracula travels to London, with dark plans for revenge against those who ruined his life centuries earlier. However, his plan is complicated when he falls in love with a woman who seems to be a reincarnation of his dead wife. This TV Series consists of 10 episodes, directed by Cole Haddon and the cast includes Jonathan Rhys Meyers as Alexander Grayson, Jessica De Gouw as Ilona and Thomas Kretschmann as Abraham Van Helsing. If the supernatural is your kind of thing, then it’s safe to say you are familiar with the Count and all the variations of his origin and existence. We might have mentioned a couple of movies that you have not seen yet or we might have rekindled some spark in you to watch them again. Either way vampire stories are here to stay so if you love them, welcome them into your home and if not, stock up on the garlic…. It’s gonna be a long night. This Saturday South Africa will be celebrating Heritage Day. And with Retro Afrika Bioscope playing such a significant role in restoring and preserving this beautiful country’s diverse film heritage it seems only fit to dedicate a blog to this awesome day!!! It’s also very important to remember where it all started and what significance it has to the people of South Africa and our rainbow nation. And thus Heritage Day was born, to be celebrated every year on the 24th September. With such a diverse culture and rather than focusing on the cultural divisions, a recent initiative by the Braai4Heritage called upon all South Africans to celebrate their common roots by having a Braai (BBQ) on Heritage Day. 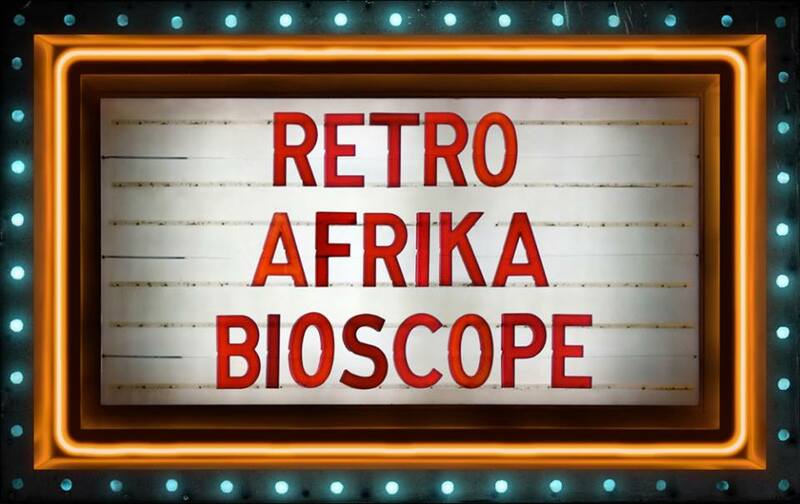 Retro Afrika Bioscope has been dedicated to preserving and restoring lost and forgotten films produced in the 1980’s. These films might never have been seen by modern audiences if it wasn’t for this project. We started the long process of sourcing these films and restoring them to their former glory and today they are accessible on various platforms such as DVD and Video on Demand. In South Africa we have partnered with DSTV’s Mzansi Bioskop, channel (164) in bringing these once forgotten African Classics into your living room and this Sundays movie will be ‘Isiqalekiso’ ’. After hearing a story of missing golden treasure, a group of young boys set out on an adventure to look for it. After some time, they eventually find a box believed to be the missing gold. But very soon, the group of friends is overcome with gold-fever and it’s not long before they start turning on one another. When a local thug discovers that the boys have indeed found the hidden treasure, he manages to steal it away from them, and the friends are forces to reconcile and come together in order to retrieve their find and get their own back on the thief. So how are you going to spend your Heritage Day? If you’re living outside of South Africa. why not go onto FilmDoo, Hoopla Digital or Bigstar to browse through our catalog of movies and stream these Lost African Classics. You never know, you might find your next favorite between the rich treasures that is South Africa’s film pride and joy. In honor of women in film we have compiled a list of famous quotes by these elegant, beautiful and talented women. So sit back, relax and enjoy the trip down memory lane!!!! And finally this quote might not be from a particular movie but it sure is worth adding and very true!!! Marilyn was the pure embodiment of female strength, beauty and empowerment. And even though she was not always well behaved in her short but fulfilling life, she definitely made history!!! Happy Women’s Month to all the wonderful women in the world that are making a difference. Gravel Road Entertainment Group’s Retro Afrika Bioscope and Mzansi Bioskop have teamed up to bring you a starlit line up of lost and forgotten South African films. Over the next couple of months, you can tune in every Sunday at 8pm to DSTV Channel 164, Mzansi Bioskop to feast your eyes on some of the most authentically South African films that was produced in the 70’s and 80’s. These films showcase all-African casts and in a number of local languages with English subtitles. “Umbango” will have it’s first ever TV premiere this coming Sunday. The film was produced and directed by Tonie van der Merwe, starring Popo Gumede, Hector Mathanda and Kay Magubane and is arguably one of the first all African cast isiZulu Westerns. The film was digitally restored by Gravel Road Entertainment Group and was, together with the film Joe Bullet, official selection in the Forum section at the Berlin International Film Festival in 2015. Both films had sell out audiences at the festival. “As the first producer and director of an African language film, it gives me great pride to finally get some recognition for our contribution to the South African film industry. I am proud of what we have achieved and it’s a great honour and privilege to experience this moment. It’s a shame that most of these actors such as Ken Gampu, Joe Lopez and Hector Mathanda cannot be here today to see these films on TV. Thank you again to all the actors and my colleges. I salute you! !” says Tonie van der Merwe. When Kay Kay, a powerful, ruthless businessman sets out on a mission of revenge against two men accused of killing his brother, he strong-arms the local sheriff into forming a posse of thugs to aid in his vendetta. But when Jet and Owen, the two easy going friends, learn of the gang out for their blood, they prepare to stand their ground and fight back. It all comes to a head in a final gun-fight, a showdown in the small western town where blood will have to be split if the friends wish to come out of this alive. Retro Afrika Bioscope is Gravel Road Entertainment Group’s specialty release label for classic retro African content. In 2013, Gravel Road launched an initiative to locate, digitally restore and re-release films produced for the oppressed majority (African) audiences in the 70’s and 80’s under the old South African film subsidy schemes. All films being released by Retro Afrika Bioscope undergo a highly specialized digital restoration process. The line-up of films for the month of July includes, Abathumbi (Starring: Innocent Gumede and Khulekani Magubane), Zero for Zep (Starring: So Mhlanga and Khulekani Magubane), Umgulukudu (Starring: Roy Dlamini and Mandla Ngoya) and Thunder Valley (Starring: Roy Dlamini and Mandla Ngoya). Gravel Road Entertainment Group is a Cape Town based entertainment company that focuses on creating quality film content. Aimed to enrich people’s lives and designed to be distributed across all market channels. We then thought of an innovative idea to be distinct from other Film Companies and gave birth to a creatively genius idea. This is when Retro Afrika Bioscope was born. The initial idea behind this speciality release label was to locate, acquire, restore and expose once discarded and forgotten Classic African films to a whole new generation of African Cinema lovers around the world. Many of these films were banned from South African screens back then. These stories brought some form of elude from what was happening in South Africa during 1960 till 1990. We all know that apartheid was brutal at that time and entertainment was very minimal due to South Africa’s harsh policies. Even though black South African actors were very exploited back then we could see from the content they were generating that they loved what they were doing and enjoyed the platform they received which means they were made for this and nothing else made them happier than being in front of the camera. All in all, these films, filmmakers and actors created a legacy for themselves and made a historical monument which Gravel Road Entertainment Group has brought forth and allowed our generation to enjoy Mzanzi’s own film ancestors. “Mayibuye I’Retro Afrika Bioscope Mayibuye” enjoy the African Cinematic jewels!! !